PARIS - Tokyo has regained the unenviable title of the world's most expensive city for expatriates, while the euro zone crisis has made many European cities cheaper, according to a survey by research firm Mercer. The oil-boom Angolan capital of Luanda was pushed down to second place. 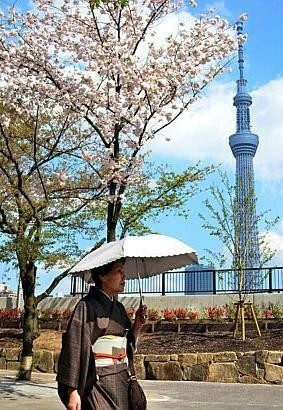 Third was Osaka, Japan's third-largest city, which went up three places from sixth last year. Moscow and Geneva were fourth and fifth respectively. Other Asian cities in the top 10 list were sixth-placed Singapore, up two spots from eighth, and Hong Kong, which remained in ninth place. Higher prices for goods and a stronger yuan pushed Chinese cities, including Shanghai, Beijing, Shenzhen and Guangzhou, up the rankings. 'Recent world events, including economic and political upheavals, have affected the rankings for many regions through currency fluctuations, inflation and volatility in accommodation prices,' Mercer said yesterday in its annual Worldwide Cost of Living Survey. The survey, published annually to help companies assess compensation allowances for expatriate workers, compared the cost of more than 200 items in 214 cities, using New York as a reference. The items included housing, clothing, food and transport. A pair of jeans costs US$174 (S$222) in Luanda, while expats in Moscow pay about US$9.60 for an international newspaper. In Tokyo, a cup of coffee, including service, averages US$8.15, while the monthly rent for a luxury two-bedroom unfurnished apartment is US$4,766, according to the survey. Most European cities dropped in the rankings, due mainly to what Mercer called a 'considerable weakening' of local currencies against the dollar. The euro has shed 3.9 per cent in the past six months, the worst performance among the 10 developed-nation currencies tracked by Bloomberg. Paris dropped 10 spots to 37th, Rome fell eight to 42nd and Athens tumbled 24 to 77th. London slipped from 18th to 25th place. Oslo was 18th, down three spots. In contrast, appreciation against the US dollar helped push Australian and New Zealand cities up, with Adelaide jumping 19 spots to 27th. At the other end, the survey named the Pakistani port city of Karachi as the least expensive of the 214 cities, with living costs about three times cheaper than in Tokyo. Along with Karachi, the cheapest cities for expats are Islamabad, Pakistan; Managua, Nicaragua; Bishkek, Kyrgyzstan; and Kolkata, India. In the Middle East, Tel Aviv remains the costliest city for expats, though it dropped seven places to 31st, while Jeddah in Saudi Arabia is still the cheapest in the region at 186th place.